Pakistan ranks 77 out of 109 countries on the Global Food Security Index. According to Vision 2025, 60 percent of the country’s population is facing food insecurity, and 44 percent of children under five years of age are chronically malnourished. Food and nutrition insecurity in the country are primarily attributable to limited economic access as well as an inadequate and lack of diverse diet for the poorest and most vulnerable. The process of return of internally displaced people to federally administered tribal areas continues. To date, 158,000 families have returned to their areas of origin which constitutes 73 percent of the planned returns of 2015 and 26 percent of the planned returns of 2016. WFP continues its relief food assistance to displaced and returnee populations in the country’s northwest, complemented by livelihoods, nutrition and education support in the region alongside other targeted districts across Pakistan. Significant in-kind donations of wheat to WFP over the past years has provided a foundation for the government’s continued commitment to the country’s humanitarian needs. 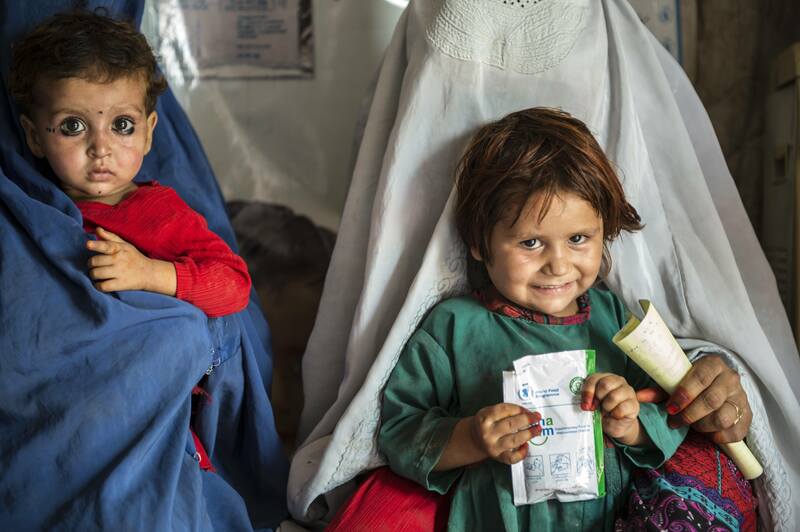 The Government of Pakistan is the second largest donor to WFP operations in the country, after the United States. WFP complements the government’s efforts in enhancing food and nutrition security amongst vulnerable populations and provides technical support in developing relevant national strategies. WFP has been present in Pakistan since 1968. In 2016, WFP is targeting 3.4 million people for assistance. WFP’s work encompasses community resilience building, disaster risk reduction, disaster risk management and preparedness elements for sustainability and national ownership. Through the construction of Emergency Response Facilities across the country, WFP aims to strengthen government and other responders’ humanitarian disaster preparedness and response capabilities. WFP’s specific activities include: Life-saving relief food assistance to IDPs and new returnees; school feeding in FATA, livelihoods support activities in areas of return in FATA and drought-affected districts of Sindh, Balochistan and KP; nutrition programs in Khyber Pakhtunkhwa, FATA, Sindh, Balochistan and Pakistan Administered Kashmir regions; as well as community-based disaster risk reduction interventions in the most hazard-prone and food-insecure locations. Food for assets – WFP targets highly vulnerable groups who have lost their productive assets and livelihoods during crises resulting from natural or human induced disasters. These activities are implemented using a combination of cash and food assistance depending on the availability of infrastructure, services and food in the targeted areas and local markets. WFP’s initiative in developing and producing specialized nutritious products for the treatment and prevention of malnutrition supports local producers in improving the quality and quantity of production with the added benefit of stimulating the economy, creating employment and raising food safety standards.